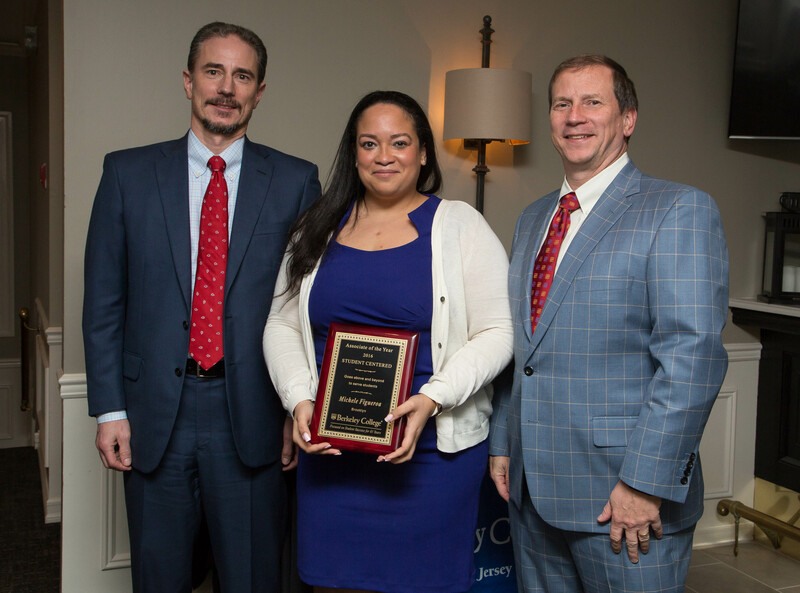 Photo Caption: Berkeley College recently recognized Michele Figueroa (center) of Passaic, NJ, Career Counselor, Career Services, with the 2016 Associate of the Year Student-Centered Award. The award recognizes an individual who goes above and beyond to serve students. With her are Randy Luing, Vice Chairman (left), and Kevin Luing, Board Chairman, both from Berkeley College.